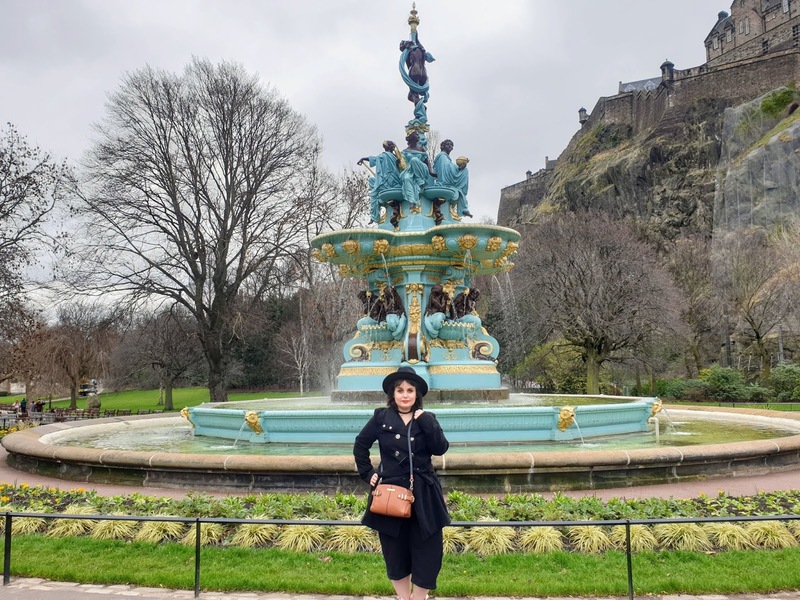 Living in Glasgow, Scotland you would think I would be going to Edinburgh more than once a year but being honest I don't get round to it as often as I would like even though I love Edinburgh. 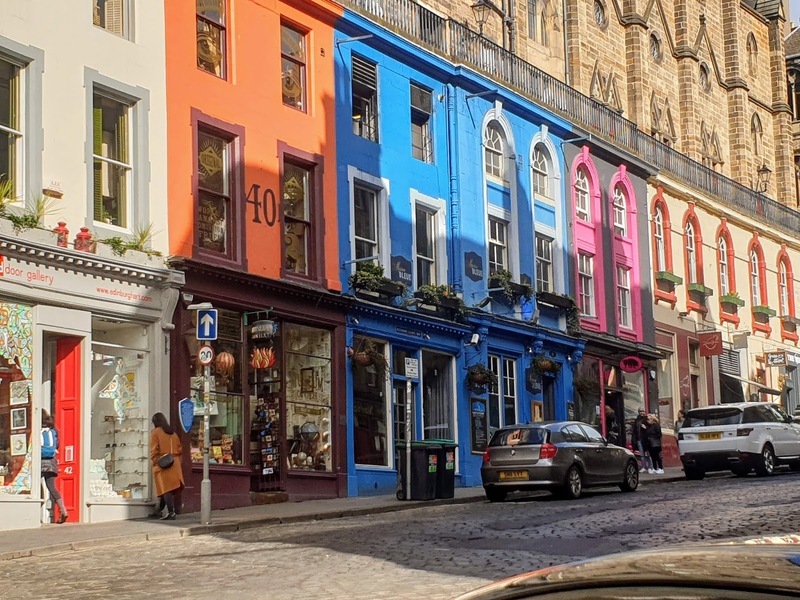 Let us just say as a city, it is rich in so many things such as history, food, culture and so much more; they is always something to do in Edinburgh and for me, 12 hours is not enough time to scratch the surface and explore them all. One thing for sure next time I will booking a hotel from Hotel.com so I don't have to worry about looking for hotels in Edinburgh while I am there, trust me they tend to be booked up so often, book ahead to avoid disappointment. I will be able to relax more during my stay and see more of the sites and do more things. Hotels.com shows you a variety of different options including luxury, family friendly, pet-friendly and also a cheap option too. We started the day by taking the kids to school in the morning then we went on route to Edinburgh since he filled up the car with fuel the night prior we were ready to roll. We are so lucky because we only live 46 miles away in Glasgow and my kids uncle was babysiting the kids that day. The drive was pretty relaxing as the roads were pretty quiet in the morning. Once in Edinburgh, we had no trouble finding parking as they are many places to park including story car parks. Finding your way around the streets is pretty easy as they are many signs and if in doubt use your phone and maps to find a location you are looking for. We went the day before spring and the weather was quite mild with a b it of cloud but remarkably it didn't rain for us haha. Walking round in the mild winter weather was lovely, walking around you could see the history almost fairy tale like atomphere ooze from every street and so many restaurants and places to go you really are spoilt for choice here. You see places to visit and see, pretty much everywhere you go. We wanted to walk around the centre of town before we got any food. 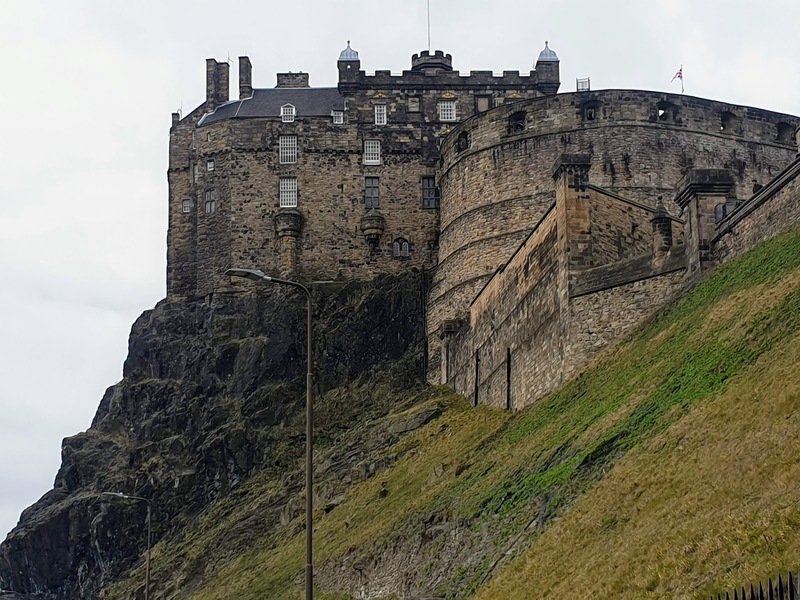 You know something cool about Edinburgh is you can see the castle ( don't you think it looks like Hogwarts) from lots of places around town. 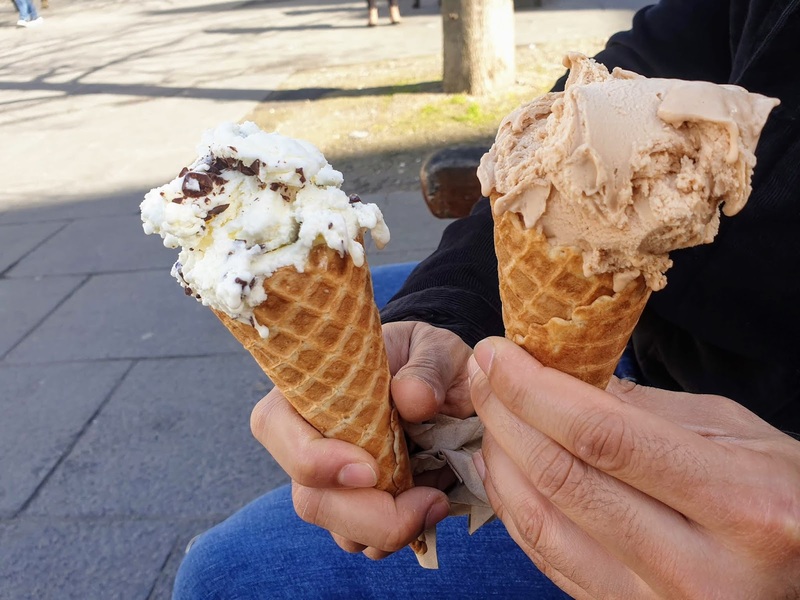 After we walked a while we ended up at Victoria street which a stunning curved street which has brightly coloured shops that are Instagram friendly, once we got there we realised we walked so much and decided to pop and get some ice cream at Mary's Milk Bar! After ice cream we visited the castle then got some burgers. We just enjoyed seeing all the sights and planning our next visit which will be a few days long that's for sure! 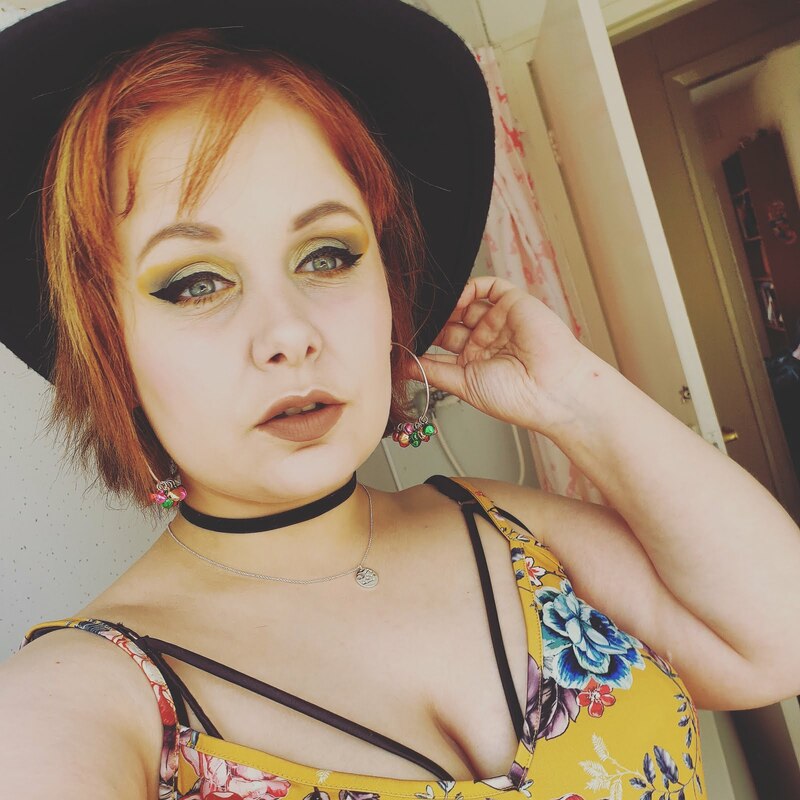 I want cocktails and to see the nightlife. 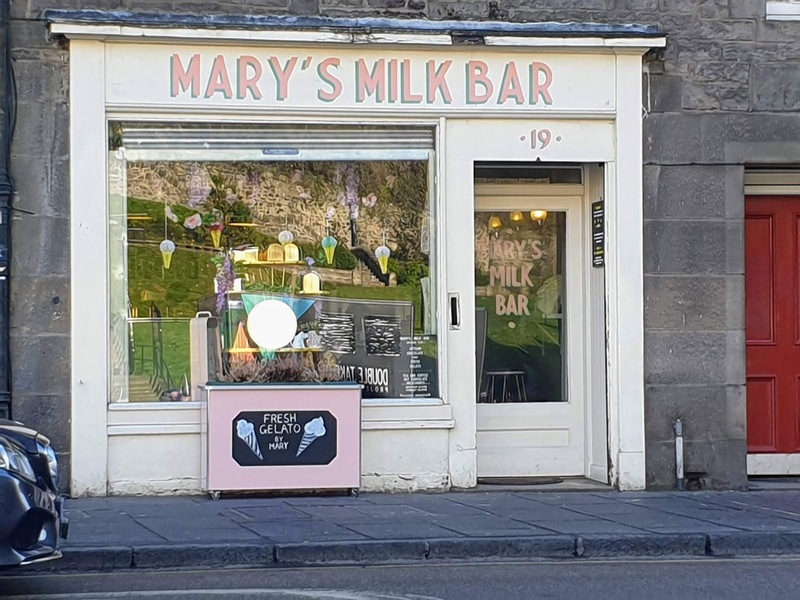 Mary's Milk Bar is just a stone's throw from Victoria street and not very far from central, its at 19 Grassmarket. This is inspired by the old milk bars that used to be popular back in the 1930s. Mary's Milk Bar has handmade ice cream that is made fresh every day and every day the flavours are different too. Not only do they do delicious ice cream they also make lovely handmade chocolates too. I chose violet and my friend chose hazelnut. Mine was just heavenly and was so fresh and a lovely vibrant violet taste. My friend's ice cream was an upgraded kinder bueno taste. 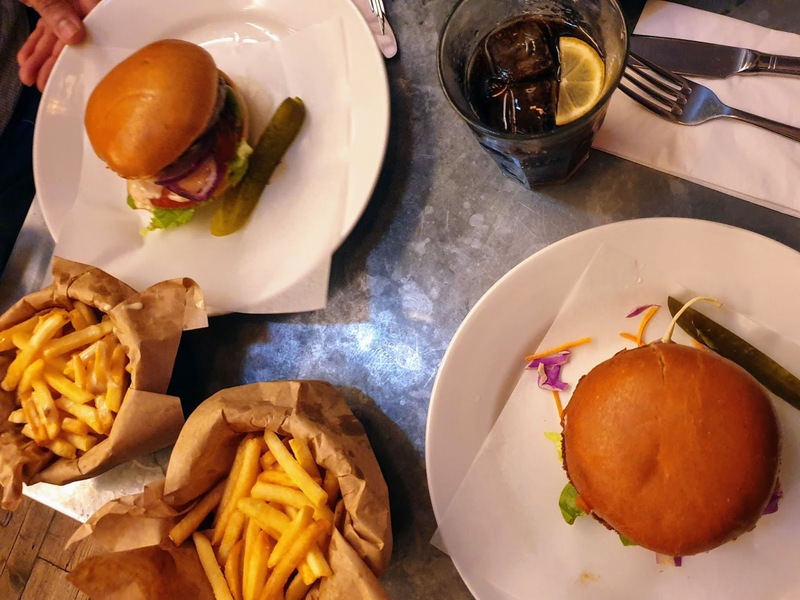 Choosing what to have for lunch was sooooooo hard omg, so many amazing places to choose from but we eventually settled on going to Byron's Hamburgers because we haven't been here before and damn we love a good burger, am I right?. They have a large selection of burgers on offer and also some other foods too like desserts and sides etc. I chose the Jack Stack which was a delicious burger made with a veggie bean pattie, bbq jack fruit and lots of yummy vegs. My friend ordered a huge burger called 'Reuben' which has a beef patty, bbq beef brisket, sauerkraut pickle relish, with bacon and onion crumbs, they enjoyed it so much too. We also ordered cheesy fries which were a cheese lovers heaven! I must admit breakfast foods are definatly one of my favourite foods (what am I talking about I love all food LOL). This place is rated very high for its breakfasts so will pay a visit in the future for either pancakes or a full English/Scottish breakfast. You know something, everyone... I have never had afternoon tea before! The afternoon tea here looks absolutely divine and it's even described as Edinburgh's best afternoon tea! Whether it be luxury brands, high street or beautiful boutiques, they will be here! Below are some prime destinations to visit, whether its for friends, shopping or treating yourself. Now, this list could be soooo long but I have put down a few I would love to do while I am there. I have to say we really enjoyed our day trip to Edinburgh, it was full of things to see, history and amazing food. Next time I go I would 100% go for a luxury hotel room for the night and have a nice evening of cocktails after a long day of walking and seeing all the sights and enjoying the food. 100% planning ahead and finding a nice hotel from Hotels.com in advance to enjoy my next break here.